Nicely done lower hull in one piece slide mold and separate sprocket mounts and sprockets. 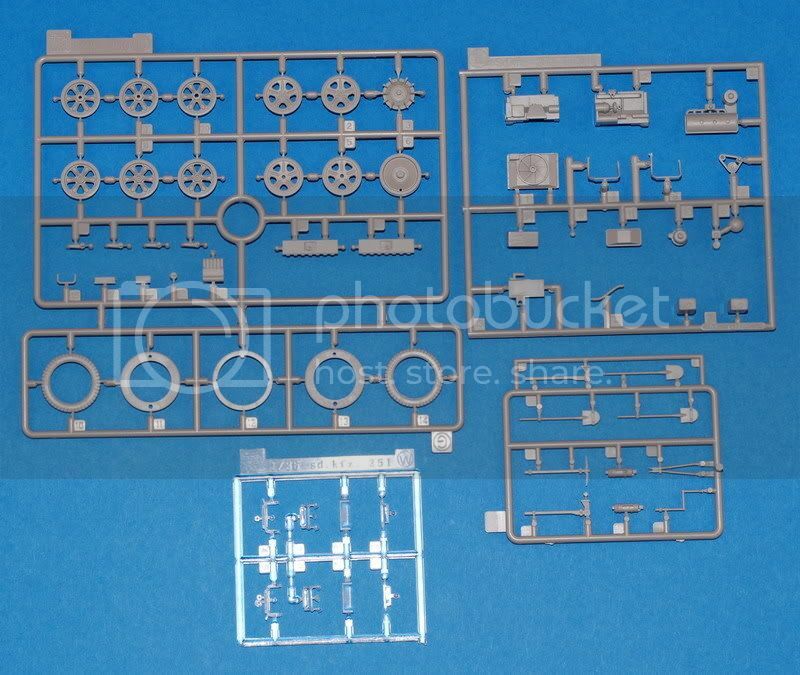 So many weapons for such a small halftrack. 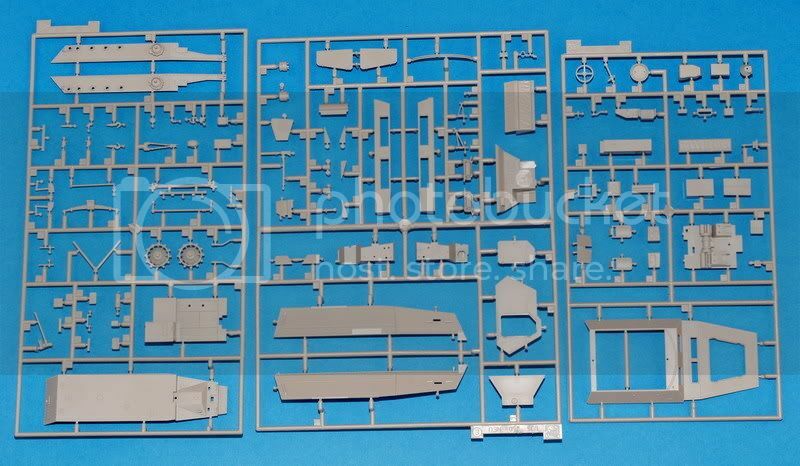 These are main sprues with another lower hull but in few parts. And in the end wheels that come devided in 5 pieces each wheel, glass parts, engine and tools. That is all. Very very nice. 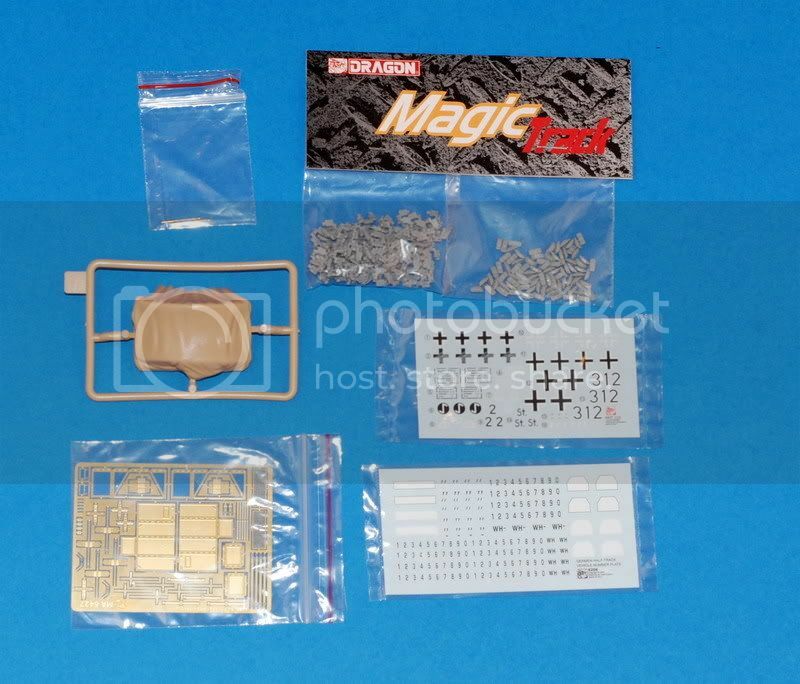 And now lets play with this kit. 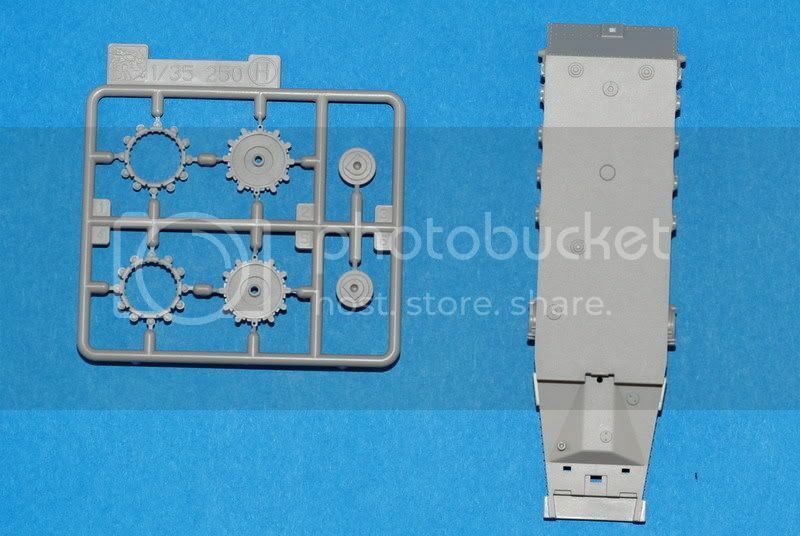 That's a pretty slick looking kit..looks like a Gen2 weapons sprue...nice. Nice Boxart also, James. I agree, it is an excellent kit! I got this one waiting to get started. Trying to figure out wether or not to use all the Aber PE sets for the kit. At the moment Im leaning towards an OOTB build as its such a nice kit but at same time, with all that brass it will be an even nicer model! 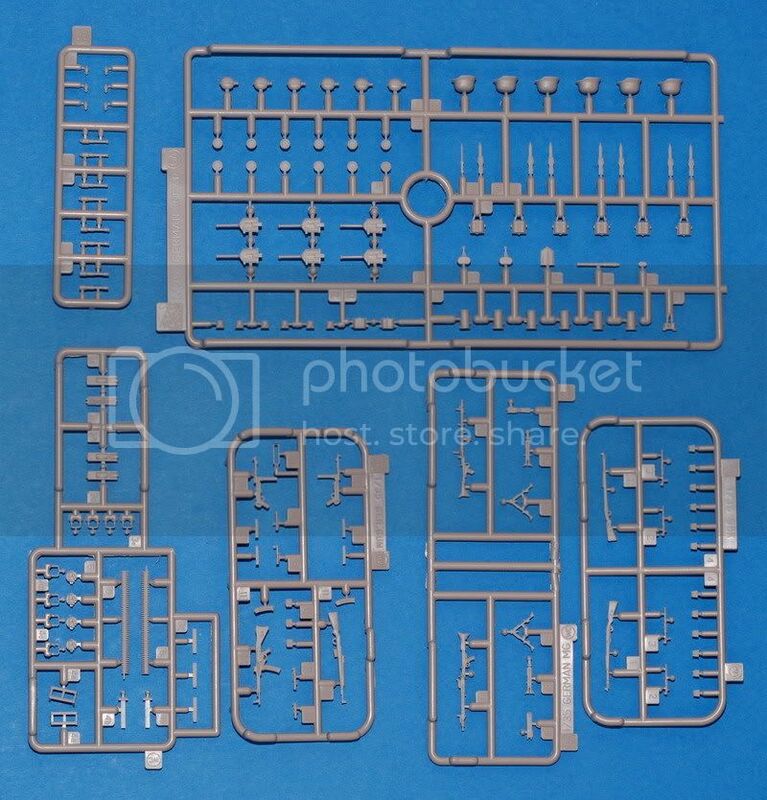 With an open top, there's lots of areas where the brass will shine (no pun intended) such as the weapons racks, the MG shield, and of course the tool hasps. Depends how well the DML brass is done and how much it includes. If you're going to fill it with figures, much of this won't be seen, but if you're wanting a stand-alone model, oh slippery slope, I would go for it! Looks like fun, anyway. Yeah I agree...oh the temptations! The problem is that I haven't worked with pe since '98 and Im afraid I would screw it up. Hm...I guess no guts no glory though! I think the only thing about the transmission that is present is it's cover, part C19. I could be wrong tho. Nice looking kit. I got the old /5, /9, and /10. They're gonna take a moutain of pe and scratch, especially the /9. I think it's the pain we all love so much . Ok Laz...You are on! Now I just need to find the sets and hope it doesnt break the bank! Any threads regarding soldering PE? With like 4 different sets I am pretty confident that I will need to know how to do this!